· Business After Hours are the Chamber's premier networking events where members meet, exchange ideas, and make important long-lasting bonds in a comfortable, relaxed environment. In addition, they give the hosting business an opportunity to showcase its workplace and gain valuable exposure. Meet new potential customers! · Monthly breakfasts feature speakers on relevant and current topics of interest for all members. They provide another occasion to network and to keep abreast of the latest news in our community. Stay informed! · Annual Chamber events – the Monadnock Arts Auction, golf tournament, dinner meeting, and poker run – appeal to a broad and diverse audience, providing occasions to meet new clients in both social and recreational settings. Make new friends and meet community leaders! · Advertising and sponsorships help to create instant name recognition for your business. Take advantage of cost-effective, proven marketing approaches and advertise on our new website and in our monthly newsletter. Several sponsorship levels are available at major Chamber-sponsored events. Effectively communicate your valuable message to others! · Facebook postings of your news, activities and specials ensure broad dispersal to hundreds of potential customers. Capitalize on social media to reach potential customers! · Promotional literature/business card/product displays at the Chamber office give exposure to your business and a showcase for your items to all who visit the Chamber office for community information and meetings. Many new to town and who may need your services visit each month! Professional Growth and Personal Development! · Tap into the knowledge of your fellow members and gain access to community leaders. Leverage their knowledge and connections to grow your business! · Educational workshops on a variety of business-related and personal development topics are offered periodically at a nominal fee for members. Invest in yourself to gain a competitive edge! · Free member referrals provide a big boost to your business from the hundreds of inquiries the Chamber receives regarding recommendations of local services and establishments. Increase your business and profit! Become better known! · Free use of the Chamber signboard, which provides high visibility for your upcoming events. Let your customers and potential customers know what you offer! · Free monthly newsletters feature news related to your business, upcoming Chamber and member events, and articles of general interest to members and the community. Ads and inserts provide additional promotional opportunities. More visibility = more business! · Free use of the Chamber’s wireless plus projector, screen and accessories. Save money! · Free use of the Chamber conference room, a spacious, convenient, air-conditioned venue for your business or organization to meet. Wi-Fi accessible. Comfortable, convenient, free! · Free listing of your event on our Community Calendar. More exposure increases awareness! · Free internet exposure in the Membership Directory on the Chamber website. Access to 250+ Chamber members who may require your services will learn of your products /services as a local resource! · Ribbon cuttings celebrate grand openings of our member businesses and are publicized in press releases to local media. Free publicity to announce your welcome to Jaffrey! · Free subscription to Business NH Magazine. 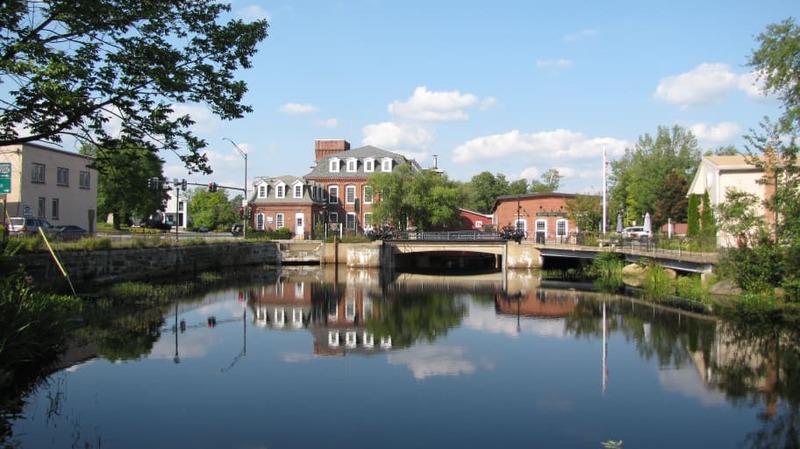 Stay informed with the latest news about New Hampshire’s business community. · Membership in the Chamber has been statistically shown to have a positive effect on your business image among consumers. The plaque given to all members for display demonstrates that you have made an investment in the community by helping to maintain a vibrant economic environment. Enhance the positive visibility of your business by being seen as a contributor to the vitality and economic growth of Jaffrey!